A Greek hand carved stone sculpture of Ephebo with dog and bow, with drape detail on the front of the sculpture. 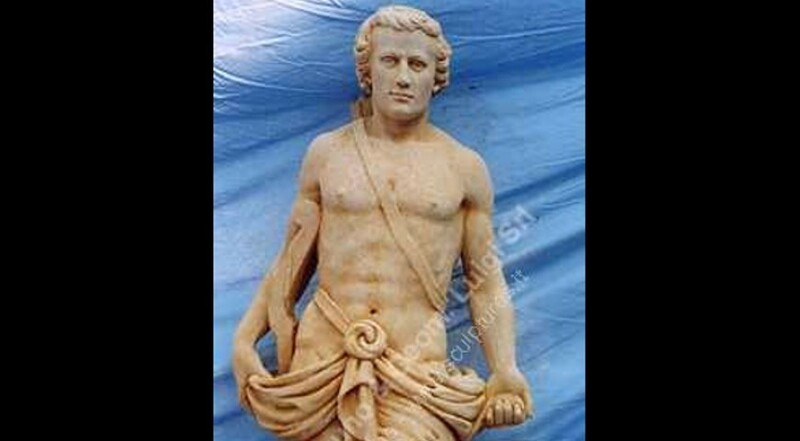 This is a typical classic style statue carved in the past by antique Greek and Roman period sculptors. This nice statue is carved in Vicenza stone now by our sculptor, the particular design was made in the earliest 1900s.